Matt joined the University of Bath in October 2012 as a Prize Fellow in the Department of Social and Policy Sciences before becoming a lecturer in social policy in 2014. In 2017 Matt became a Reader in Public Policy at the University of Bath's Institute for Policy Research. 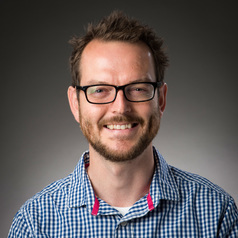 Previously, Matt has held a Marie Curie Intra-European Fellowship at the UCD Geary Institute, University College Dublin, and an ESRC Post-Doctoral Research Fellowship at the University of Bristol. Matt attained his PhD in Economics from the University of Warwick in February 2009 and also has an MSc in Economics (Warwick, 2003) and a BSc in Economics and Politics (Bristol, 2000). Matt’s research uses applied micro-econometrics and interests include intergenerational mobility, individual decision making, public pay premia and numerous topics within the economics of education. At the IPR Matt is leading a quantitative research project addressing issues around widening participation in higher education.